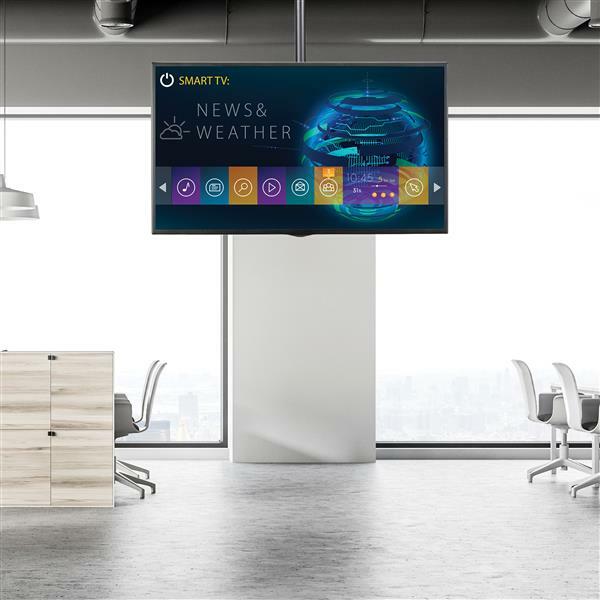 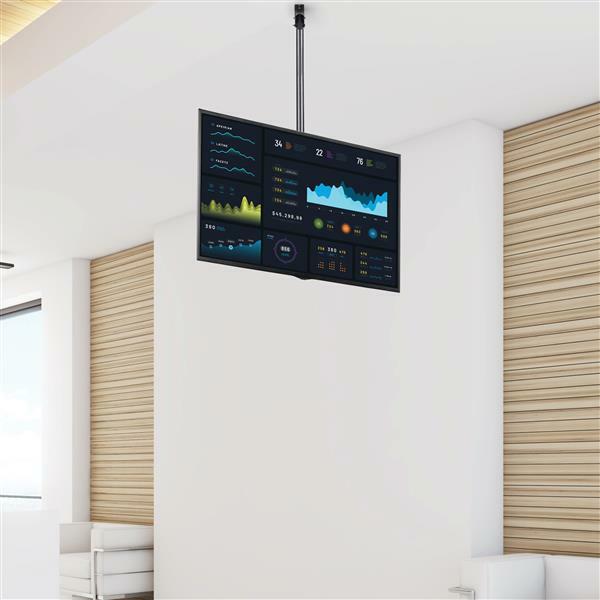 The ceiling mount is ideal for use in corporate boardrooms, lobbies, entrances, restaurants, bars and meeting places. 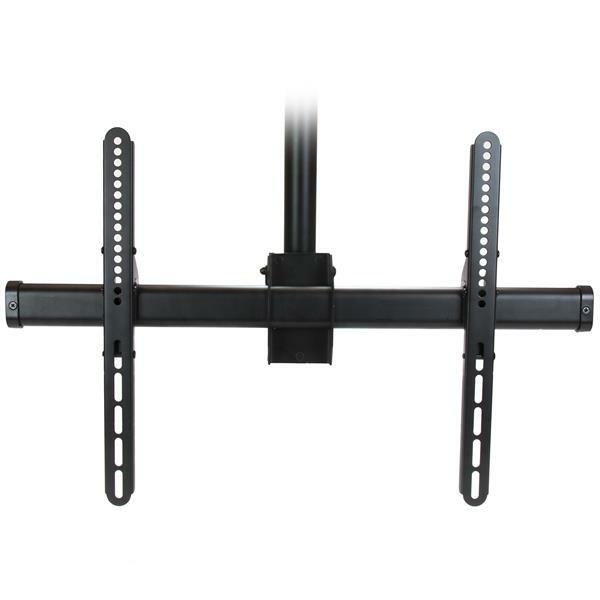 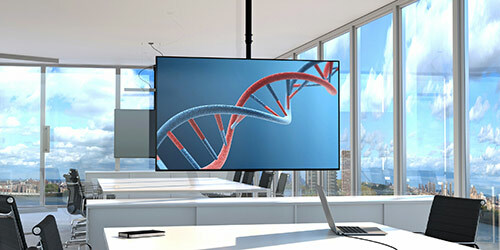 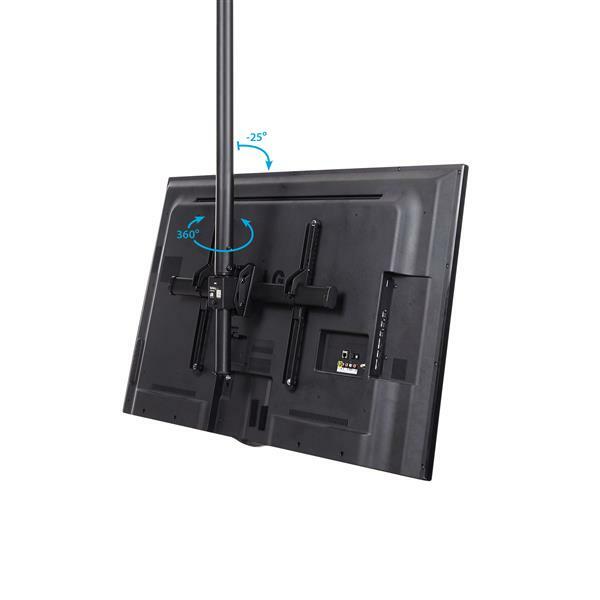 With a telescopic pole, the TV mount lets you suspend a display at your desired distance from the ceiling. 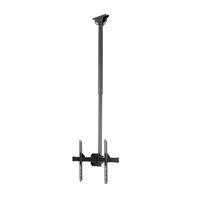 This works well with a range of ceiling heights. 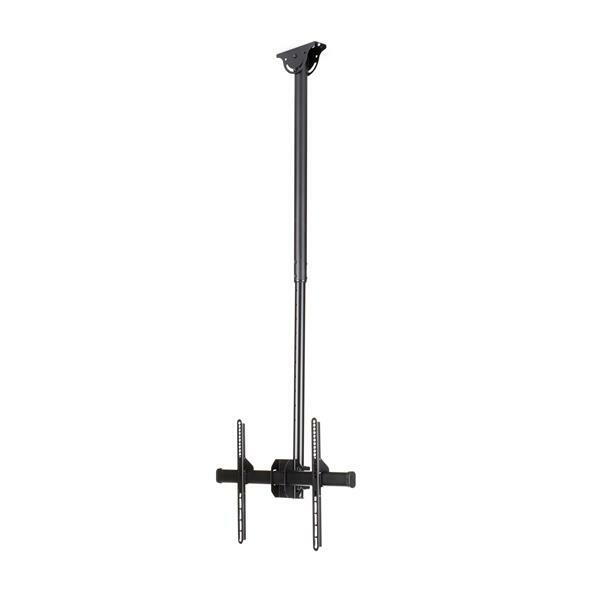 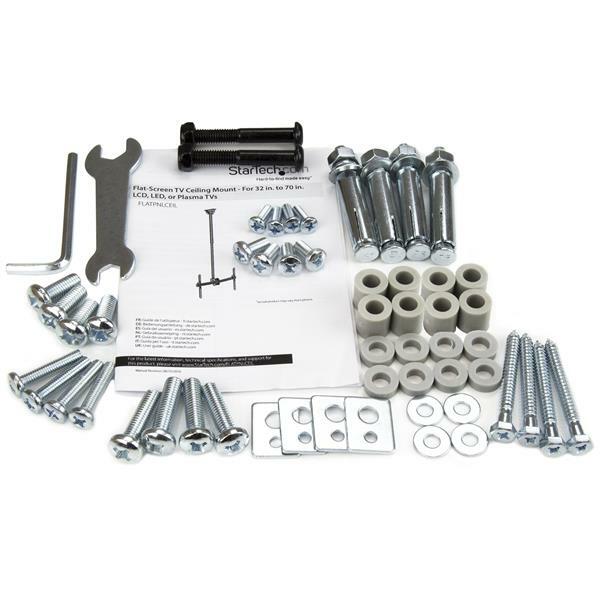 The steel pole can extend from 42" to 61" (1060 to 1560 mm) , with a total lift (height extension) of 19.7" (500 mm). 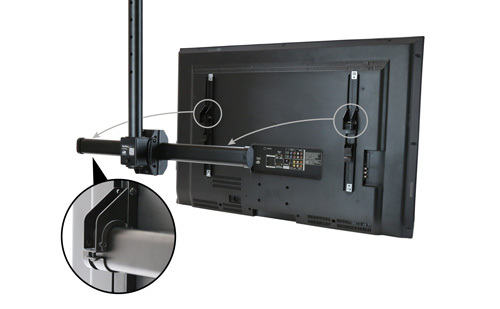 FLATPNLCEIL is backed by a StarTech.com 5-year warranty and free lifetime technical support.